Taiwan has apparently been invited to join a friendly tournament hosted by the Malaysian Football Association. The other teams that have been invited are Indonesia and India, who along with hosts Malaysia will make up the 4 team tournament - Malaysia, Taiwan, Indonesia and India. 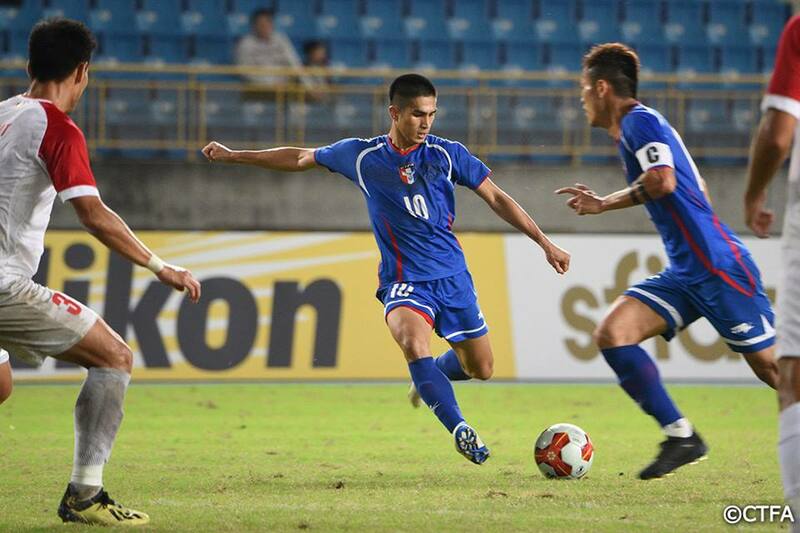 Taiwan has played all three countries pretty recently, which could point to the CTFA building better connections with other football associations. 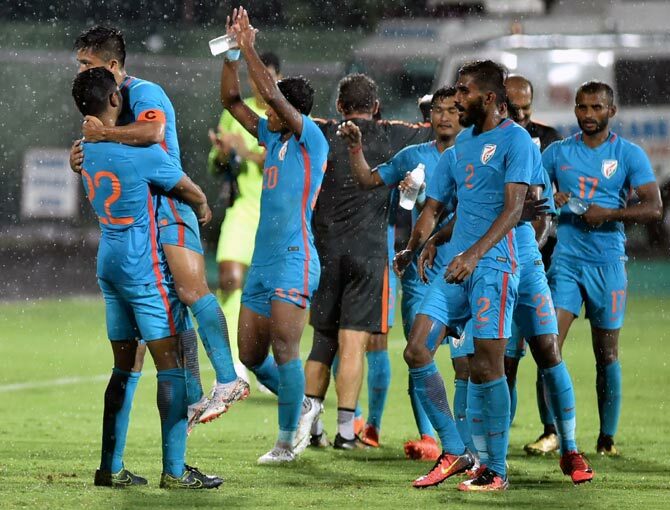 They played a friendly with Malaysia in Gary White's last match, they also played Indonesia in the Asian Games and played in India's own Hero Cup friendly tournament. They only needed to have good networking going on with Malaysia, but could this be a sign that the CTFA is working harder than ever to get more matches for the national team? We hope it is. Taiwan played Malaysia in Gary White's last match before he went off to Hong Kong, the game was played in horrendous conditions which meant Malaysia couldn't play the type of game they wanted to but the weather helped Taiwan in their counter-attacking approach. Taiwan won the game easily enough and Malaysia didn't pose much of a threat. Things would likely be different in their own backyard, and Malaysia got to the final of the AFF Suzuki Cup. Remove the horrid conditions and add in patriotic home support and you're likely looking at a very different game. If both sides play their senior sides, then I don't think there is a lot of difference between the level of Malaysia and Taiwan, but a lot depends on who is employed to be the new Taiwan manager because the temporary one has resorted to type in playing super defensive football which hasn't helped Taiwan get positive results. Taiwan was drawn into the same group with Indonesia at the recent Asian Games tournament, and after an impressive draw against Bahrain in their first game they went into the match against Indonesia in a positive mood. However, that positivity didn't last long and Indonesia romped home to a 4-0 victory. That was the catalyst for Taiwan to crumble completely in the Asian Games, as they went on to get another hiding from Hong Kong and exit the competition with a whimper. The Asian Games is a U23 competition but allows 3 overage players to be in each teams squad. Taiwan was invited to play in the Hero Cup friendly tournament hosted by India, but due to the tournament being outside of a FIFA international window it was difficult for Taiwan to call up their players. For this reason, Gary White decided to call up a U23 side to prepare for the Asian Games. There is no news yet from the CTFA (Taiwan's FA) and until then we can only assume that this is a rumour, but if it is true Taiwan should accept the invite. It is good for Taiwan to play as much as they can, and it is good to see them put more effort into playing more games. Hopefully 2019, will be a positive year for Taiwanese football, and they keep trying to improve, a lot of time I am very critical of them as an FA like most football fans are the world over, but if they can strive to play more games and push football forward that would be good. We know it takes time but small steps are better than none at all. Taiwan must play more games than they have in the past, and they must advertise the games better.